Nicolas Priniotakis has written a monster review of the freely available Animation Nodes Addon and finds it seriously powerful and addictive. Thanks for such a wonderfully in-depth article Nicolas, it's the longest article on BlenderNation EVER! For a long time the exclusive domain of pythonists, Parametric Animation is now accessible to anyone in the form of a sophisticated and free node system: Animation Nodes. The name of the addon itself says a lot about its author: humility and rigor. 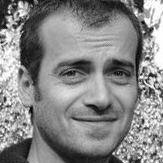 Jacques Lucke is also known for Sniper and more recently Autocompletion addons. Since last september, Jacques shows great skills in orchestrating the development of this plugin. A remarkable confidence for someone who (I forgot to mention) isn't even 18 ! Animation Nodes is still in beta phase but after 6 months of intense activity on BlenderArtists, the addon reached stability and robustness. I think it's time to see what it has to offer and - spoiler alert - how it will change your life. The plugin presents itself as a new section in the node editor. Its shelf contain more than 100 nodes dedicated to several aspects of objects and values manipulation. The underlying principle in the use of the addon can be summarized in the following three key words: Matrix, vector, (x,y,z) values. By breaking down a matrix, we obtain three vectors (location, rotation and scale). Each of these being the composition of three values: x, y and z. See? Nothing really new here. Yet, it is the only thing one needs to understand in order to begin using the addon. In practice, what can I expect to do with Animation Nodes ? As already mentioned, a parametric animation system allows you to connect (literally) object attributes and parameters. By doing so, the plugin can be used to set up constraints and drivers in a new empirical and visual way. Complex mechanical rigs are easier to achieve and manipulate using a node tree that centralizes everything on a board. Motion design takes also a major step forward and catch up with commercial packages. 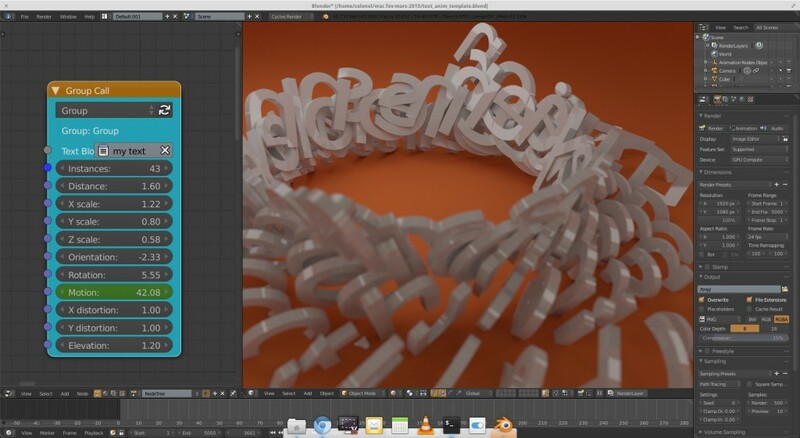 Cinema4D for instance, already has a similar system (Xpresso) and a collection of dedicated tools (Mograph). Even if there is still space for improvement, Animation Node provides Blender users a system that is not ashamed to face competition. In many respects, I found Jacques' nodes to be most thoughtful and consistent. Probably because he aims, from the early stage of the conception, to provide a strictly generic set of tools as opposed to a pre-made collection of effects. Nonetheless, many nodes provide access to unprecedented settings. Many of them were requested by the community of beta-testers. Some good ideas from here and there, however, could be integrated and I cross my fingers that Jacques can find motivation, time and energy to continue this work. Many applications which would have implied python programming are now doable directly with the addon. In any case, I consider Animation Nodes as an excellent introduction to programming. A direct gateway to Python is also available, in the system tab (script node). It allows you to make simple python scripts using directly the values and objects you plug into sockets (in and out). In other terms, it provides a realtime plug and play programming interface.The fact that your script turns itself into a real node is hugely convenient. Similarly, why not consider touching domains such as home automation and robotics? Even if no I/O node has been made yet (the script node is all you need), it is easy to think of a connection with a microcontroller, taking benefits of the node editor's GUI to manage robotic equipments. I have experienced a few things in this area (Arduino and leap motion) and I must say that the visual comfort and easiness to create a network of connections will now revolutionize my practice. Among all the crazy ideas found on the thread, the insanity award goes to Leon Cheung who built a functional video subtitler using Animation nodes. The screen copy of his Kardashian style node tree left me speechless! Respect. Be ready to spend a certain amount of time exploring the 100+ nodes, but remember that every single node unlocks a handful of new possibilities for you. If some nodes can be tricky to understand and use, the color of the sockets will always tells you what to plug-in. Orange for a matrix, green for a vertice, light blue for a float number, dark blue for an integer, and so on. Also, the addon is very free about its sockets. Plug an integer in place of a float number and a conversion node will automatically be inserted. Handy! As an aside, let me say a few words about the portability of our node systems. If you plan to often use the same group of nodes, you may be interested in coding some of your own. Jacques wrote a small tutorial about it and with a very minimal knowledge of python, the process is very smooth and fast. In this example, I made a homespun node out of a complex tree. This node is now in my shelf, ready to use. Of course, it's always possible to append a node tree from one project to another. In this case, no need of python and you can create a library of trees inside a simple .blend file. Here's a selection of the nodes I found most interesting. For each of them you will find a short description and an example of what can be done with it. It's not to take as a tutorial though. Just think of it as an introduction to the spirit of Animation Nodes. Probably the most important node. Typically at the end of the chain, it will give an object its new location - rotation and/or scale value. This is a very simple node, very well done (sockets appear on the fly regarding the selection of values we want to play with). Definitely the first node to drop onto the editor. Ok, these nodes are not very easy to get. They work just fine but their usage is a bit disconcerting. 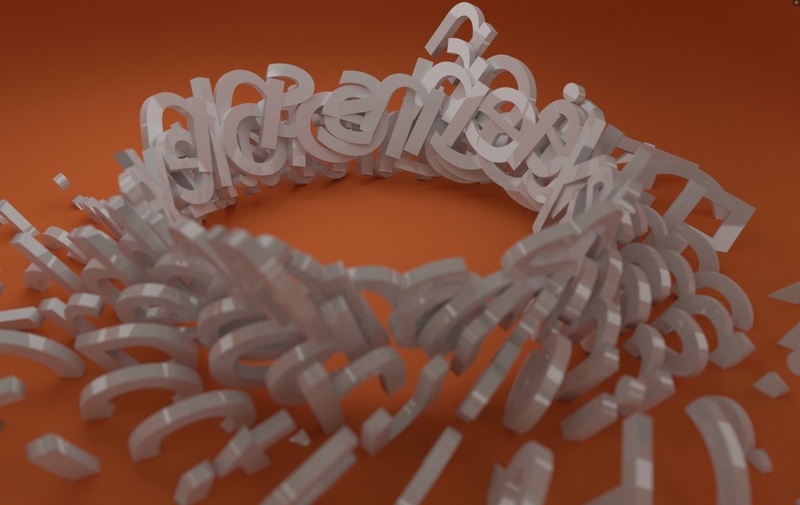 The loop will basically iterate through a list of things (object, numbers, texts, vertices...). I haven't explored yet all its subtleties, but loops are required to move a big amount of objects. In this example a loop node goes over a list of strings and objects. See the Object Attribute Output Node? In the field, you just have to paste the data-path of the value you want to control. Now instead of driving your data with a single object, you can do it with whatever you bake out of your imagination. Sometimes, the node needs to be fed with something else than numbers, like booleans (for checkboxes) or texts. For booleans, just use a Integer node with 0 for False and 1 for True. For texts, use the string node. I want to control the apparition/disappearance of an object. First thing to do is to give it a material. It will be whatever you want, mixed with a transparency node, at the end of the chain. Back in the addon, we fire up the material node, point to the last mix node and voilà! The visibility of the object is ready to be driven by anything you like. For structural reasons, this node can't give you access to shapekeys. These aren't stored inside individual objects data. But a few months ago I did a very rough but working prototype and Semaphore from BlenderArtist is working on a full integration of shapekeys in Animation Nodes. So I guess, it's just a matter of time before it can be integrated to the trunk. This node is a swiss knife, tailored to suit the needs of the beta-testers. Its incredible versatility makes it one of the most useful node ever written on earth. It can be used for simple operations but can also perform complex algorithms and deal with an infinity of dynamic variables. Any kind of entry can be plugged to the node. You are asked to name every one of them, so that they can be called from within the expression field. For instance, I want to add up the first three entries (a, b, c) and divide the result by the fourth one (d). Once everything is connected, my expression would be: ( a + b + c ) / d. The result will be provided via the output socket as a float number. Update : A lot of effort to little avail, uh ? A new "Boolean"category made its appearance during the night. The same effect can now be obtained using a simple compare node. Something else ? Just ask and Jacques makes it happen ! These are a workaround to counter the fact that default group feature is not available via pynode (the library that makes the node editor available through python). It works quite well and allows you to nest loops, which is insane ! And cool. Here's a screen copy of the "group call" node featuring all the parameters that came into play to make the top image of this review. You can download my .blend file and use it as a template. You'll find that, even if keyframing these values is possible, the keyframes won't show in either the dope sheet or the curve editor. This is another limitation of pynode and any custom node tree is affected. Let's hope for a quick fix ! As a convenient solution, you can connect the values you want to drive with empties (location, for instance) and keyframe them instead. Same result and great flexibility. A cute and very cool one. It returns a progression of random values based on the perlin algorithm, which, to make it short, can be seen as a noise smoothed and carried by a sinus wave. It produces a very natural and fun randomness. Think of the subtle instability in the way you hold your 3rd glass of scotch to get an idea of the effect. If you decide to use the services of a renderfarm, this one is for you. As the addon won't be installed on the farm's machines, you need to bake your animations. The "keyframe" node is designed for this purpose, and much more! First of all, its implementation is easy: it doesn't necessarily need to be connected to anything. Just having it in a corner of your tree will do the job. You define which object is concerned (can be a group of objects) and which property will be keyframed (the basic loc, rot, scale or any data-path value). All the parameters, including the enable/disable checkbox can be driven by other nodes. These are to put in the "experimental" category as it said no to be as stable as the others. It's a great fun to use and play with, though. I had a fantastic time fooling around with beautiful math functions. In this example, all the vertices of an object pass through an expression node. Another example using a sphere as an effector. The learning curve can seem steep. That is not necessarily true. The addon works in real-time, therefore playing around with nodes is surprisingly easy. Very quickly, you end up with complex animation made of dozen of interconnected things. Experimentation and sandboxing is - in my opinion - an essential part of the learning process. On the other hand, digging directly into an already working node setup is scary for the novice and difficult to understand. Thus, the important question is not whether it is hard to learn but how you intend to learn. Beginning simple and slow, you'll be ready to go in no time. Trying to figure out how those complex demos actually work takes time or worst, it could discourage you from enjoying! Jacques and the community have begun to compile and centralize some learning material. An online manual is being drafted and already describes the most useful nodes. It's concise and clear. At the moment, no demo files are provided. The project is however on its way. Meanwhile, Jacques Luke created a serie of tutorials to explain the basics. Finally, the original thread on the forum is still hot and running. The author and users are very willing to answer novices questions and take up challenges. Besides, the response time is often under an hour. From afar, the addon may look tricky but as it blends seamlessly into the node editor, you will find yourself standing on the firm ground of a familiar interface. Everything is where it is suppose to be. Suzanne is cooking in the kitchen, the default cube is playing in the yard: you are home! Animation Nodes is one of many examples illustrating the dynamic of community driven projects. The plugin is still evolving in the vivarium of the forum and everyday brings its fresh share of ideas, nodes and fixes. Remaining true to the spirit of Blender, open source and free, the plugin gives everybody the same tool to work with and push Blender a step forward. For that, I'd like to thank Jacques. As soon as he gets his 18nd birthday, hopefully many of us will make donations to reward his dedication. What fascinated me the most was that some people took my code and extended it. I never had something like this before. So collaboration on github was new to me. Also I learned that I nearly never should try to guess what other people do with your program. It happened quite often that someone used a node in a context I never could have thought of. 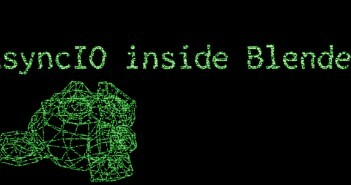 And of course you get a much deeper understanding of how Blender works internally. This is absolutely necessary for future addons. Also the development process was great. In the morning I got an idea, then I developed the corresponding nodes, then I made a video and got lots of feedback. All that on one day. Its like a positive feedback loop. I have to admit that this development cycle isn't ideal for stable releases, but to do awesome stuff and breaking the boundaries it was perfect. I am everything but a salesman and a good review needs objectivity. So I did my best to find a weak point. Yesterday, I made a breakthrough and found that custom properties were unreachable from the nodes. Ah! But in the evening of the very same day, the attribute nodes were updated and CP are no longer an issue. So, I hate to sound all flowery but I have nothing left to hold against this addon. It simply rocks! Hi! I am in charge of the graphic design dpt in a University in France where I teach 3D (Blender of course). I am also a Unity3D trainer at "Les Gobelins" CG school in Paris. I was working in the game industry in a previous life (Ubisoft) and directed the post-production of TV programs in China for several years. I'm now involved in game and CG animation projects and I design 3D commercial images for a German car constructor. So far, I find nodes to be user unfriendly Kind of like the old program DBase which opened with a dot "." And as long as you had a manual handy to inform you of what to do, you were good. Absent that, it was a LOT of fumbling around in the dark, and like nodes being REALLY impressed with what others have figured out with no clear, consistent road map as to how to get there. applied to an object gets you to a visual representation of Voronoi. Or, should it be divined? 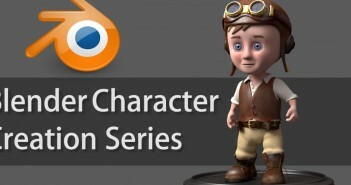 There are a LOT of demos of the amazing things that can be done with animation nodes. And precious few real world tutorials of how to accomplish them. 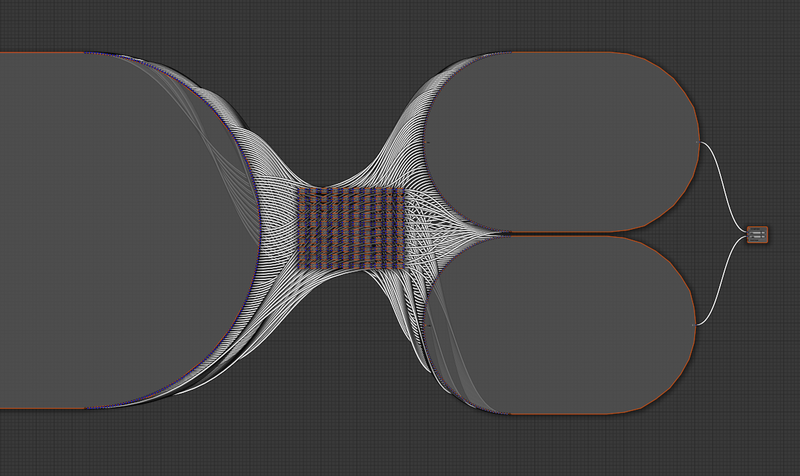 I get more done out of the box with the Sverchok addon than I have with animation nodes. If ONLY it were that intuitive. Or that it provided templates that are more than just a whole bunch of nodes with no clear direction or indication of what to do with them. I'm just dumber than a doorknob. It's NEVER the software or the software design. My fault for not being a better user. Just wanted to add my amen. Actually, the situation is even worse than Unkerjay intimates- when i went to download the add-on i quickly discovered that his manual isn't downloadable. And it's a little-known fact that some eccentrics actually lack home internet; yes, astonishing i know. So i guess i'll wait a decade or two for downloadability to be added (unwarranted sarcasm? That's how long it took Blender.org to make theirs downloadable. Hi Nicolas, are you people working on simple tuts on AN that will help us understand it? It will be much appreciated because at the moment the AN is not navigable to noons and newbies. Please help us. This Addon should have official recognition....A game changer.